At the last Los Angeles Auto Show which took place in November, Lexus surprised many people by unveiling the LF-C2 concept, a convertible model which serves to reveal the visual direction of future Lexus models. The car, simply spectacular, clearly shows that Lexus will continue to offer models that stand out visually while offering modern and luxurious interiors. Like both the new Lexus IS and the latest Lexus RC, the LF-C2 presents some elements already seen on other models in the range including an imposing grille, distinctive LED lights shaped like hooks, and an aggressive rear end. That said, the concept has a more muscular look with its wide front, powerful fenders, and its imposing wheels. Inside, the concept can accommodate up to four passengers, but it’s the dashboard and the overall style of the interior that impresses. 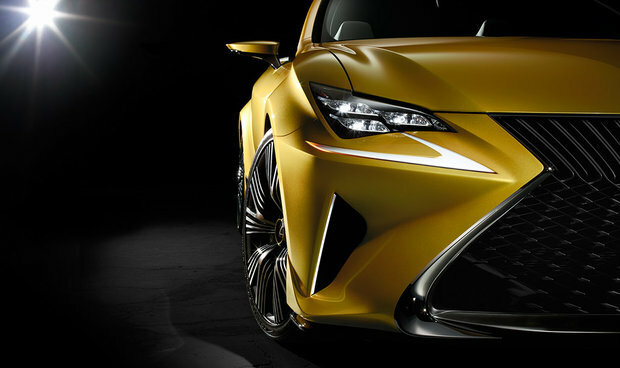 Very modern, the interior’s concept foreshadows the interior we may find on future Lexus model generations. If this is the case, the competition had better watch out!